Which own brands do you use? Do branded dishwasher tablets do a better job? 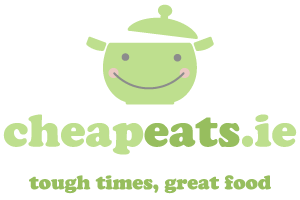 I’m drawn to some great half price offers in Dunnes this week – but not on food. 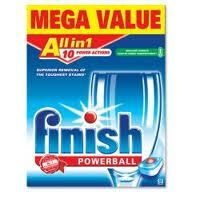 Finish Dishwasher tablets are down from €16.99 to €8.49, while a big giant value pack of Bold Two in One is down from €25.99 to €12.99. When it comes to household items such washing powder and dishwasher tablets, I’ve little or no brand loyalty. There’s usually a supermarket offering one of these brands – most of which are owned by hyper-corporation Unilever – at half price, and that’s when I swoop in. And yet, certain household items are an area where I’m reluctant to go for an own brand product. I’ve found that supermarket’s own dishwasher tablets don’t really do the job at all. Lidl’s own brand toothpaste is vile. Then again, Supervalu’s baby wipes are precisely the same as Johnson’s baby wipes, but half the price. And I’ve heard that the Formil washing powder in Lidl is just as good as a bigger brand. In yesterday’s Pricewatch, Conor Pope said that people are less likely to switch to own brand beans, nappies, or toothpaste. What own brand products can you recommend? And when does the brand name matter? Later this week, I’ll review the own brand products in some supermarkets, including Centra and Superquinn. Aldi’s Swap and Save campaign: Why are we reluctant to abandon our favourite brands? I’m the same as you – I have no problem shopping around for washing up liquid, rice, pasta, fruit & veg (though I won’t go to Tesco for fresh food – it’s awful! ), some meats and various other things. However, I can’t bring myself to buy bread in Aldi or Lidl. I know Alsi bread is made by a recognisable (but unnamed) brand and that I’m not going to find sawdust in it, but I just can’t bring myself to part with McCambridge’s or with Superquinn’s in-house bread. Part of the problem with switching to own-brand goods is that other issues might come up. Is the own-brand locally produced? Is there extra packaging? A lot of people make their purchasing decisions based on more than just the price. I will frequently buy own-brand products, for e.g., Tesco Value tins of tomatoes, about 39c instead of 89c or more for better known brands. I always buy SuperValu milk 2l for €1.49 instead of €2.19 for Conancht Gold CoOp, which is the local supplier. I live in rural County Sligo, so I believe it’s important to support local. But, if you look at the lid on the SuperValu milk you will see a 4-digit code (the IRL EC Code) which denotes the producer. In my local SuperValus (Ballymote, Tubbercurry, Ballisodare) this is the exact same code as on the Connacht Gold CoOp milk, yet 70c cheaper, I’d be mad not to buy it. Other own brand things I’d buy include tinned products, rice, pasta, meat, fruit & veg, etc. I’d agree with Gráinne though about bread, I’ve never found a good own brand bread. Having said that, my local Lidl has just opened one of their new fancy on-site bakeries, so I might be tempted when I go back there. Which? in the UK have tested dishwasher tablets, washing powder etc, and the Lidl ‘Formil’ has come out near the top of the rankings. Aldi washing up liquid has also topped the tests. So I’ve swapped over to these and no complaints! The only branded products I buy are Philadelphia (the own brand in Lidl & Aldi doesn’t seem to work in baking) Hellmanns, Lyons Tea, Pataks cury paste and Chef ketchup. Meant to add, I will always endavour to buy Irish – no matter where I’m buying. I think all branches of Lidl are soon going to have instore “bakeries”. I’ve heard good things about many of the products but the only one I’ve tried (and loved) is the sourdough rye with pumpkin seeds. Outstanding. The sort of loaf that is sold at so-called farmers’ markets for nearly a fiver and it’s only €1.79 in Lidl. The other bread product which I will heartily recommend are Aldi’s Mediterranean flatbreads (wraps). Soft and floury and so much nicer than pitta bread or rubberty tortilla wraps and available in white or wholemeal. The brand is Lynch’s and, to my knowledge, they are made by a Cork company called Heron Foods. If I could find them elsewhere, I would buy them like a shot. Slightly off post-topic, but following on from the previous comment about bread: the San Francisco Sourdough in Marks and Spencer is incredibly delicious. I THINK it was €2.49 for a loaf, a very nice treat. I use own brand a lot – primarily Aldi, I do my main shop there and then over to Tesco for the branded goods I won’t do without – Avonmore Supermilk, Glenisk Yogurts/cream, Hellmann’s mayo, Branded coffee. I’ve tried all cheaper washing powders/liquids and whilst they do a great job they don’t smell nice to me so I stick with Persil/Bold. Other than that I’ve just about no loyalty! I’m not long in from doing my weekly shop in Aldi. Over the course of the last few years, I’ve moved from a big shop in Superquinn/SuperValu to making Aldi my main shop with a top up in one of the major chains. I also like the fact that Aldi seem to support a lot of irish manufacturers. The Aldi ‘specially selected’ range is excellent! However, the brands I HAVE to get-Barrys/Bewleys Gold blend tea, Chef Ketchup/Salad Cream, Fairy washing up liquid, Petit Filous/Little stars yogurts (cheap ones have nasties like glucose syrup) Ribena (no nasties) Branded Bread-Brennans or Pat the Baker-have yet to find an own brand we like. I tell a lie: may be next week before I get back to writing about own brands! Just home a couple of hours from my weekly Aldi shop. I used to shop in Lidl before Aldi came to Kilkenny and I’ve no complaints about either. I do prefer Aldi (lynches) bread to Lidl and I think that overall Aldi is slightly more luxurious than Lidl but I also find that I am spending about €20/week more than I used to spend in Lidl. I do my main shop in Aldi and most of their products are far better than named brands, particularly the fillet steaks, grain bread, jam, chorizo, canned plum tomatoes, cheese, ready to roll pastry and beer. But I find their toothpaste to be useless, and the fresh veg always goes off in record time, so I’d still visit tesco for that sort of stuff.